Home Digital Business Mag VPN : What Is Vishing? How to Stay Safe? VPN : What Is Vishing? How to Stay Safe? Thanks to the ever-increasing advancements in technology, online scammers are getting craftier and more sophisticated, faster than ever before. The methods being employed to steal and manipulate users’ data continue to change by the day, and if you don’t have the right mechanisms set up, you just might be the next victim of online fraud or identity theft. If you’ve happened to have read a little bit about the subject, then you might be familiar with one or two methods of data theft, with the most popular one being phishing. Phishing is a technique that a lot of criminal organizations employ when they try to steal details such as your password or username details. They usually send out emails that seem to be from a bank, a social network, or any other site that you access and try to trick you into sending them your login details via email. Their emails normally appear to be very professional, complete with company logos and email headers that make it really difficult to doubt its authenticity. 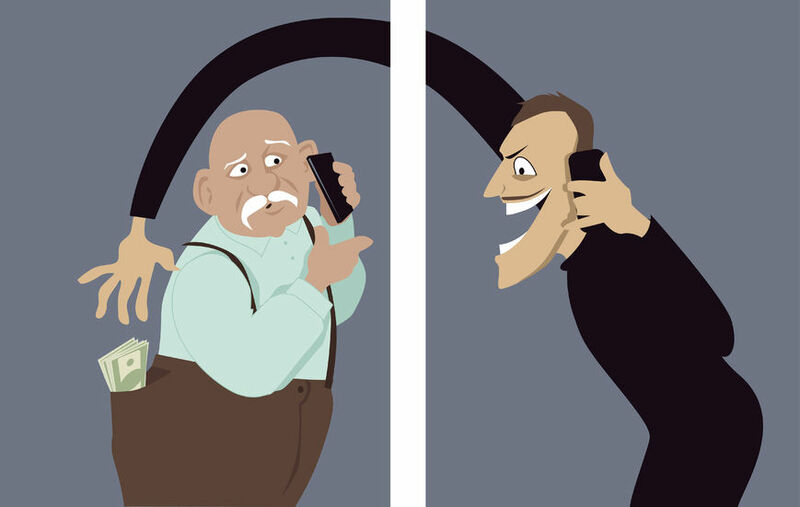 Aside from that, there’s another form of information theft that is somewhat similar to phishing, with the only difference being that it introduces another element to the whole operation, the use of voice calls. Vishing is more or less a phishing scam that’s done through the use of your voice. What would normally happen is that a victim would get a private call on their phone that appears to be from within their local area, and when answered, they’d get to hear a robotic voice informs them that either their bank account details have been compromised, or that they need to verify their login details on social sites such as Facebook or Google. The whole ordeal is made to sound so serious, such that a number is given out by the robotic voice that the victim is told to contact immediately to sort out the whole issue. Once they dial through and share out their personal details, the criminals gain access to their personal accounts, and they have either their accounts wiped or their identity stolen. This is something that as an Internet user you can be very easily subjected to, especially if you tend to do a lot of online shopping or online banking, Fortunately, there are a number of methods that you can employ to keep yourself protected from such advanced methods of online scamming, and we’re going to be discussing a few of them below. If you’re hearing about this for the very first time, then you might assume that it would be very easy for you to figure out whenever you’re being called out by a scammer. The truth is, most of these calls are structured in a way that leaves no room for doubt. This means you’ll have to be very keen to pick them out and know form the first call that you might be getting into a scam. You’re still a possible victim, no matter how private you are with your number: It’s good to be private with your number and to avoid dishing it out all the time. Unfortunately, it doesn’t really do a lot to steer away vishing scammers because they either use random dialing or data leaks to get hold of it. Avoid giving out personal information over the phone: Try and avoid sharing details such as your username and password while on phone. Only do so when you’re the one who has called, and not the other way around. Use a VPN to work around location-based scamming: Scammers have ways of tracking down your location. Most of them can detect when you set foot in a new area, and they’re able to do this through tracking down changes in your IP address, or through GPS. One of the best ways to avoid being tracked down is through the use of a VPN service. Subscribing to a provider allows you to hide your IP address and prevent scammers from knowing anything about your location. If you’re serious about avoiding location based vishing, then subscribing to a VPN is something that you’d want to consider. The thing with VPNs is, searching for the right one can sometimes be an issue, especially if you’re a new learner who isn’t sure exactly what to look out for. To help you out in that respect, we’re going to take a look at three particular providers and show you why you ought to try them out. ExpressVPN happens to be one of the most popular providers in the VPN industry right now, and many of its subscribers remain loyal customers because of their quality of service. The provider boasts of over 1000 servers in 145+ locations, military grade 256-bit encryption, DNS leak protection, an automatic Internet kill switch and a strict zero logging policy. Software is also available for users whose devices are based on Windows, Mac OS, Linux and Android. ExpressVPN stands out among all others in terms of quality, and also price. Subscribing to any of their packages is going to be more expensive than other VPN providers. If you’d like to find out whether the cost will be worth it, start out with their 30 day trial offer. It comes with a money back guarantee if you opt out of the period, so you don’t have anything to lose. IPVanish is a seasoned provider that really does its best to ensure customers enjoy a reliable connection regardless of the time or day. The provider has 850 servers that span through 60 different countries, as well as software that’s able to accommodate devices running on Windows Phone, iOS, Android, Mac OS or Linux. Security is also top notch, with 256-bit encryption and features such as leak protection for both IPv6 and DNS, automatic reconnection and an app with a pleasant & easily navigable graphic user interface. This provider also offers a 30 day money back guarantee for potential customers to test them out and see how well it’ll work for them. NordVPN is easily one of the most feature-rich providers in the industry, and this serves as its strongest selling point. Security wise, customers get to enjoy 256 bit encryption, and a strong network courtesy of its 3000+ servers. NordVPN also allows for up to 6 simultaneous connections, and this means you can get to use features and tools such as double VPN, where the data transmitted through your connection goes through two servers for enhanced security. The provider also allows users to optimize their connection by configuring the servers they’re connected to for torrenting, large file downloads, streaming, video conferencing and also gaming. Their trial offer is also unique since the service offers potential customers 3 days to try out the service for free before they decide to subscribe. Now that you have valid information on one form of sophisticated scamming that’s not yet quite as popular, you should work towards putting in place preventive measures that could keep you on the safe side. Using a VPN allows you to hide your location, your Internet traffic, and your identity, thereby keeping you safe from any form of attack or identity theft. I think twitter should start charging users.